UK: Statkraft has agreed to sell its 30% stake in the 402MW Dudgeon project, its last remaining offshore interest. The 30% equity interest will be sold to a consortium led by China Resources Holdings Company, a state-owned group with power, consumer products, real estate, cement, gas, pharmaceuticals and finance businesses, for £555 million (€629.52 million). Chinese and German competition authorities, and possibly the Korean regulator, will need to approve the transaction, Statkraft stated. The company expects the transaction to be completed in the first quarter of 2018. Statkraft signalled its intention to exit the offshore wind industry in December 2015, claiming the sector was too "capital intensive". 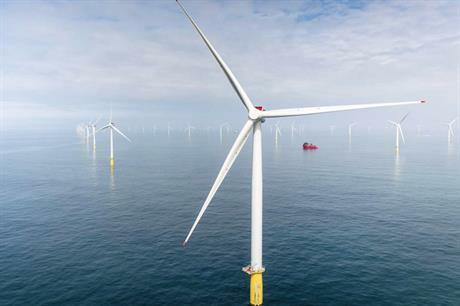 The company quit the Forewind consortium in March, sold its stake in the 860MW Triton Knoll site in October, and last week completed the sale of its stake in the 317MW Sheringham Shoal project. Dudgeon, which was officially opened in November, was the company’s last holding in offshore wind. The company vowed to "continue to drive forward developments in renewables in UK and other markets".